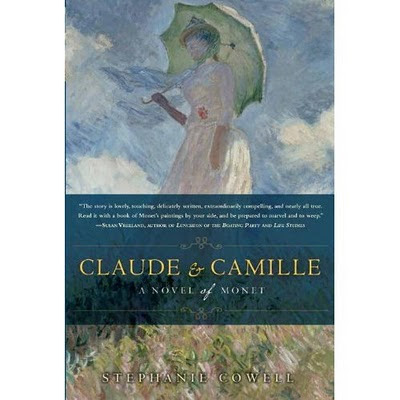 Reading Claude and Camille , Stephanie Cowell's new novel about Monet, is like stepping into an artist's studio and finding oneself among the great Impressionists. The book captures the essence of la vie de Bohème, that life in which agony, struggle and turmoil are swiftly transformed into bliss, and vice versa. Renoir, Pissaro, Sisley, Bazille, Cézanne, Manet, Degas and Courbet are all there, sleeping on the floor, living on beans, wine, coffee and bread, avoiding the landlord, and celebrating each other's small triumphs. They are a band of brothers who mentor, guide and support their fellow artists, both materially and emotionally. It is a good thing, since flouting the conventions of both art and society make for a long and lonely road. Into this Bohemian scene comes the enigmatic teenager Camille Doncieux from a proper bourgeois family against whom she is determined to rebel. Camille and Monet are swept into un fou d'amour and run away together, scandalizing everyone but Monet's artist friends. At first they exist only for the pleasure of the moment, but then winter comes and a baby, and there is no food or money. The lovers oscillate between ecstasy and misery, driving each other to the brink of insanity, and to the despair which too often is the flip side of unrestrained passion. In spite of betrayals, lies and a suicide attempt, Claude and Camille remain attached to each other, as Camille becomes Claude's inspiration as well as his torment. Although there is no doubt they love each other, in so many ways they are unsuited for each other, both being moody and mercurial. While Monet is able to discipline himself when it comes to his art, Camille's equilibrium swings between extravagant highs and lows. She is as elusive to him as the light he tries to capture in his paintings. In an effort to provide Camille and their son with much needed stability, Monet pushes himself artistically to exceed his former efforts and produce art works that are not only great but in demand. As family life becomes more precious to him, his art takes on an increasing emotional richness, and in the depth of each painting is the soul of his Camille. The scene in which Claude and Camille are married by a priest is profoundly moving for in that moment a wild love is tamed and sanctified at last. Stephanie Cowell allows the reader to plunge into the paintings right from the tip of the artist's brush. Painting is how Monet deals with reality and his relationships. It is a relief when Alice, who will eventually become his second wife, enters the novel. 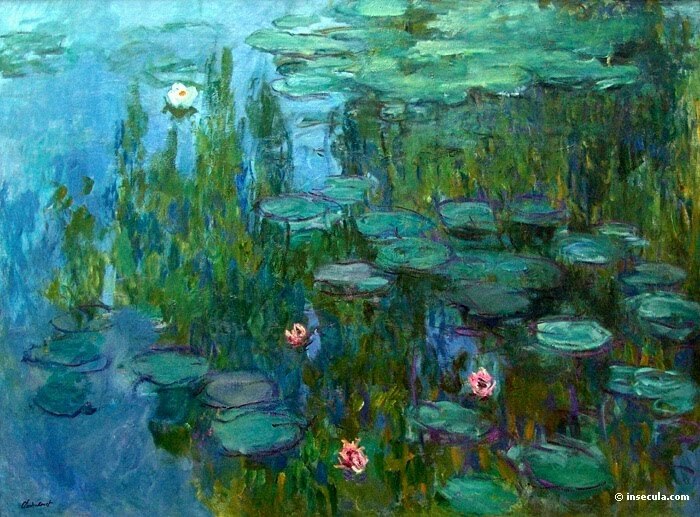 Alice will someday provide Monet with the serene home life at Giverny which brings forth the fabulous water lily paintings. Camille, however, will always haunt him, as a muse and as a lover. All the characters in Cowell's novel are vividly drawn. 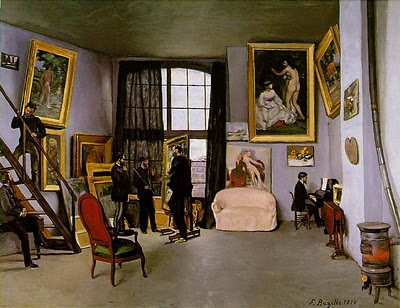 One of the most interesting is the young artist Frédéric Bazille, who alone among the band of friends has independent means, with which he is generous. It is his enthusiasm for his art and for the art of his friends, however, that makes him the heart and soul of the group. Frédéric has his own secrets that add an unexpected twist to the story. Anyone who has ever struggled in their art, whatever it might be, who has ever been painfully in love, and who has struggled financially, will find Claude and Camille a highly relevant novel. To those who enjoy well-written historical fiction and a tragic romance I recommend it as well. Do have an art book or a website on Monet at hand. For readers who want more about Monet's later years, I would also suggest the short but exquisite novel Light by Eva Figes, which explores the deepening understanding of Monet of how even the darkness can be luminous. 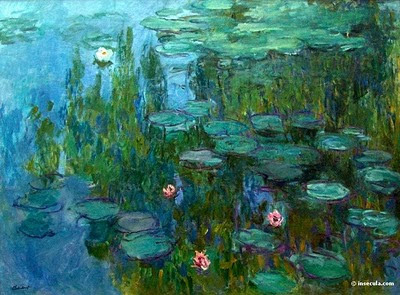 It is amazing to see how the cool stiffness of his earlier work merged into the mesmerizing beauty of his "Waterlilies".